A Plea to Friends Suffering in Jobs They Hate: Leave! 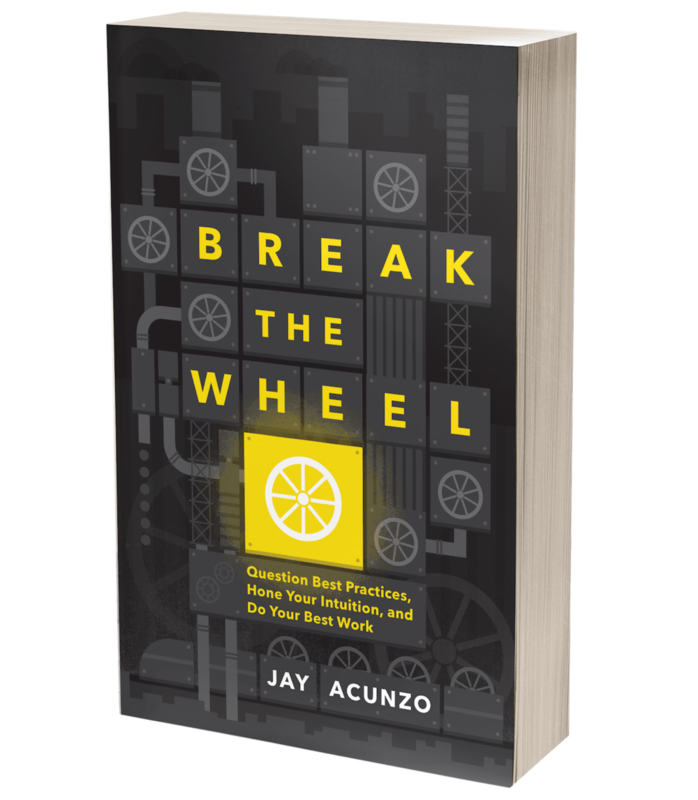 — Jay Acunzo | Author. Speaker. Maker of Shows About Work. A Plea to Friends Suffering in Jobs They Hate: Leave! Note: This post is re-published from just over a year ago. It got so much positive traction (in that more than just my mom read it and liked it) that I wanted to be sure to bring it over to this new site. Hope you enjoy! In the last 15 months, I’ve met with about a dozen friends and former colleagues for one reason: They really don’t like their jobs. Most of them are lucky to work at awesome companies with very recognizable brands. Most of them are brilliant. I’m lucky to know them. HOWEVER, most of them never decide to take action to change their situation. Maybe sharing my quick story will help. It’s not groundbreaking, but it’s honest. And, in a way, the hardest part was changing my stupid LinkedIn profile to read “CampusLIVE” - a young company with a young (read: not-so-great-looking) product and, let’s be honest, a pretty lousy name. Looking back, the “risk” I took was really no risk at all. My mentality heading into the decision was just that, too. I remember thinking to myself, If this startup fails, I’ll at least learn a ton and meet some great contacts to expand my network. Plus, I’ll know definitively that I gave startups a try. Let me be clear by saying that Google was and is incredible. The people, the perks, the brand, and the energy make for the ideal post-college job. But, again, I’d learned what to do to succeed at a high level, and I felt my unhappiness clinging to me everyday. I knew my next move wouldn’t be available to me for some time due to HR policies. Plus, a job function I wanted wouldn’t be open for two years, and even then, it would not be located in Boston where I hoped to live for a few more years. A few managers raised their eyebrows and cautioned against the decision. They pointed to the learning opportunities at Google vs. at a startup. I agree that for some, Google’s a better environment. For me, I needed to get my hands dirty and move at a faster pace than six- or 12-month increments. I received a lot of support from friends (a lot more than I anticipated, too). I guess they sense it was the right call by looking at my motivation, my blog output, my attitude, and my happiness level because I didn’t really explain the decision to most of them. I struggled with changing my online profiles and announcing to the world that I was moving from a company that people everywhere recognized to one that, if I was asked where you worked and what you did, didn’t hold much clout. And in the end, after 15 months [at the time of this writing in 2012], I can safely say that the things I was hoping to address in my career and in my life were addressed. I’m blessed to have had this opportunity. Again, this was my own personal experience of my transition from one specific job to a new one. This won’t be the case for everyone, I know. And this is most certainly not me trying to paint a picture of all of Google. But I can tell from my talks with a few friends working across several companies that they’re in similar situations. So, my advice is this: Be open to and accepting of advice from others, but ultimately, just do whatever feels right in your heart and in your mind. Take that risk while you’re in your twenties, because the only thing that matters now is that you’re learning each and every day. To repeat that: THE ONLY THING THAT MATTERS IN YOUR TWENTIES IS LEARNING. Making money is nice, but we're too early in the workforce and want to maximize the rest of our professional lives by learning a ton right now. I know my friends. I know when they’re unhappy, it’s due in large part because they’re not challenged. Their brains atrophy. They don’t feel creative. They coast after figuring out the "system" of their larger organizations, full of red tape and politics and a bubble that's hard to escape. These talented people have passions, energies, ambitions, and drive…none of which seems to be present or used in their current posts. So, to my friends, my message is simple: please take action. Stop talking and go DO something. You’re young, smart, hungry, and destined to be really successful if you work hard enough. Will it be easy to get things in motion? No. Will others judge? Probably. Is there risk involved? Not as much as you’d think! Especially not if you’re finding new ways to learn while you’re still young. If you finally stand up and decide to make a change, I promise you’ll look back in a year and realize something: It was the best damn decision you’ve ever made. Posted on April 13, 2014 by Jay Acunzo.